Going on a cruise vacation is a popular option for families in the summertime, but it can pose a number of unique safety concerns for children. Don't let your upcoming getaway at sea send you into a panic, though! The following tips can ensure that your kids are aware of potentially dangerous situations on a cruise ship. It might seem like it's all one big party on your cruise ship, but keep in mind that you're in a confined space with many people your family doesn't know. Your little ones should be sure to watch out for strangers who may be behaving suspiciously on deck. If a situation arises when you're not around, tell your kids to find the closest crew member for help. Falling overboard isn't an overly common situation on cruise lines, but it is a risk. Before embarking on your summer adventure, inform your children about proper safety procedures near deck railings, like no climbing, running or peering too far over the edge. 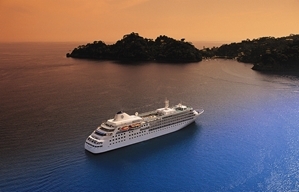 Half the fun of a cruise is venturing to the shores of exotic locales. During these shore excursions, it's important that your children know to stick with your family or tour group to avoid getting separated. Wandering away from vacation zones can put your children in unfamiliar territory where there are no cruise representatives to help guide them.